My name’s Isabelle, I blog over at Minnebelle about beauty, food, traveling and life in general and I’ll be guest posting for Stacey today. It’s a massive honour to be featured on her website! I’ve been admiring Stacey’s hauls and eye for quality products ever since I discovered her blog, and my mind has been with her each day for the past six weeks. It’s amazing how brave she is in all she’s going through and it’s also heartwarming to see how many people are supporting her in the blogging community. We hope you feel better soon, Stace! We all know Stacey has a weak spot for lipsticks, and my own personal weak spot has definitely got to be makeup brushes. I definitely have way too many, and I’m definitely going to buy many more. It’s that bad. I’d like to share my favourite brushes with you today and perhaps give you some inspiration for your next brush purchase. 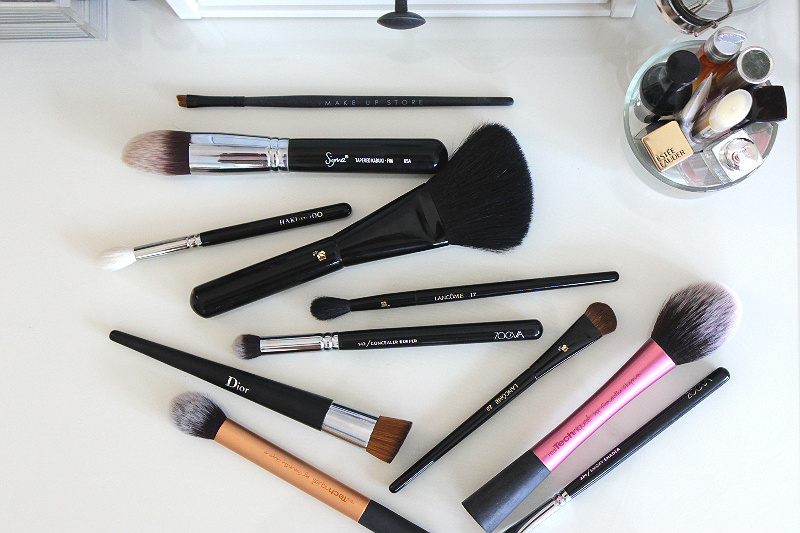 Because you know.. You can absolutely never have too many brushes. Trust me. 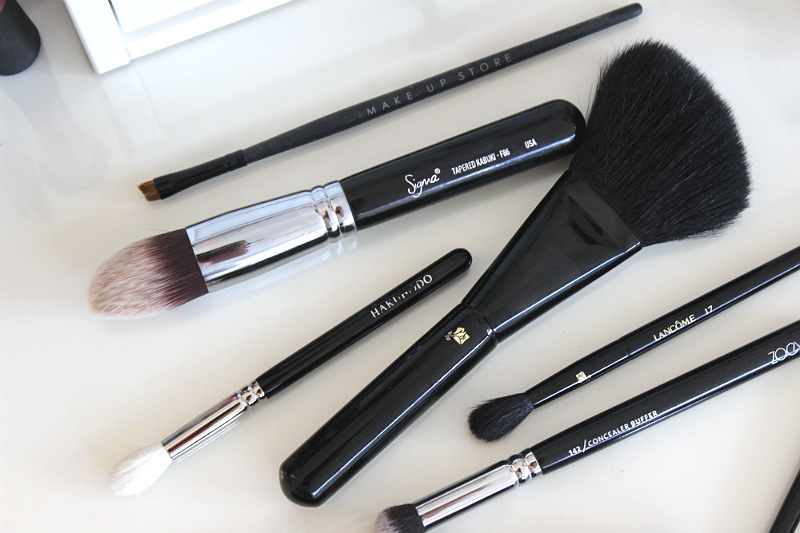 My favourite eyebrow brush has got to be the angled 110 brush by Make Up Store. It was one of the very first decent brushes that I bought and it’s still in perfect shape after all these years. It’s quite thin and allows for precision eyebrow shaping. For foundation, I’m in love with Sigma’s Tapered Kabuki brush. This is just sheer perfection - I use it for blending in liquid foundation, but it’s also a great tool to blend in liquid concealer under the eyes. By Hakuhodo I really love the J5522 brush, which is one of the softest tapered crease/blending brushes you’ll ever come across. 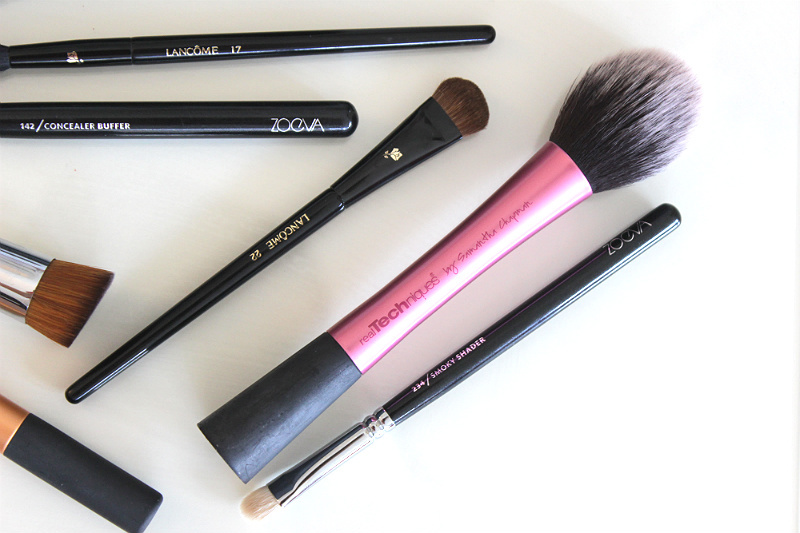 If you’re looking for high quality brushes - you most definitely need to browse Hakuhodo’s range. It’s hard to find similar superb hand-made quality for the same price. Lancôme’s 17 brush has become my blending brush of choice for daily soft looks - it’s slightly tapered and quite long and soft, which diffuses and blends eyeshadow perfectly. Zoeva’s Concealer Buffer is a very budget friendly brush that is just perfect for applying and blending out concealer. The shape is big enough to allow ease of blending, but also small enough to reach every corner that needs coverage. 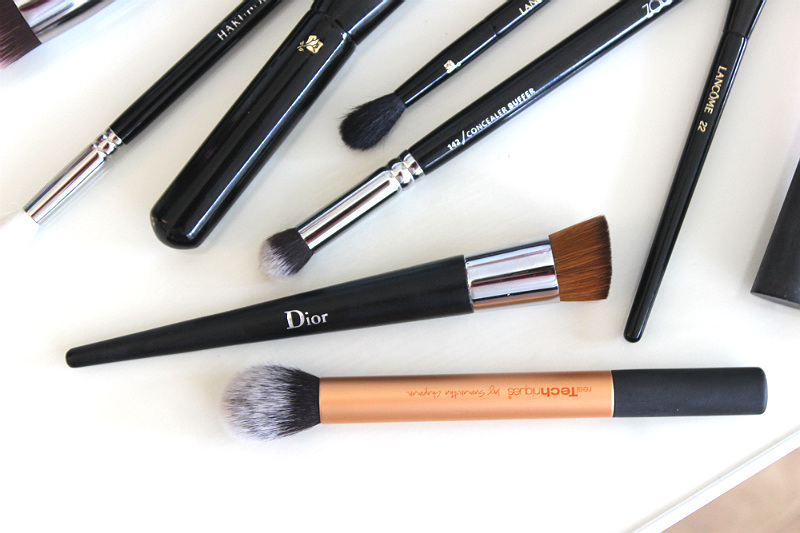 Dior’s Backstage Full Coverage Liquid Foundation brush is the perfect high coverage brush. It has very dense bristles and a perfect flat surface that allows you to stipple and blend foundation onto your complexion to your liking. The result is absolutely flawless! For highlighting I really like the Real Techniques Contour brush. It’s small enough to allow precision application and has the perfect shape and bristles to deposit just enough highlighter onto the highest points of your face. Lancôme’s 22 brush is the best all-over eyeshadow brush I’ve come across. This one is perfect to use every day to quickly sweep eyeshadow all across your lid. I’m really surprised that there’s not more buzz around these brushes. Another one from Real Techniques is their Blush brush - which is absolutely perfect to me for applying blusher. Some people like to use smaller or thinner brushes for blush application, but I like the ease of just softly sweeping this brush on top of my cheeks for a quick and even dash of colour. Lastly I’ve also included Zoeva’s Smokey Shader, which is a great brush to add a quick extra pop of colour onto the moving eyelid and smoke it out for an easy daytime look. At Zoeva’s price point, it’s almost hard to go wrong. I hope you enjoyed this post in absence of Stacey - let’s hope she’s feeling better soon so we can read all about her favourites in no time!